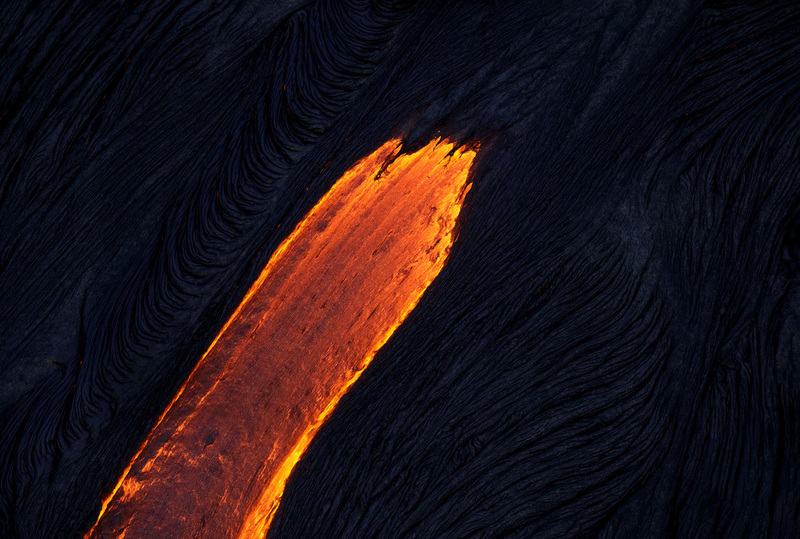 In the first part of this series, I talked about shooting Kilauea's lava surface-flows using a drone. 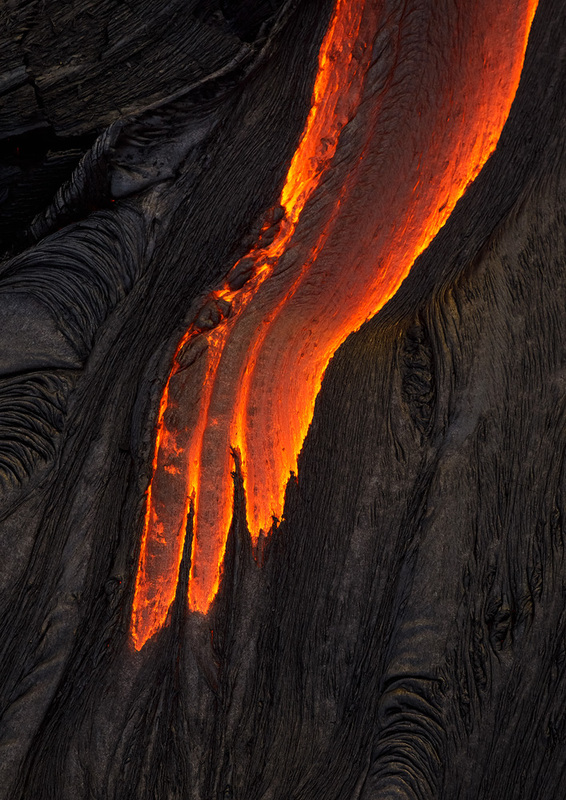 In the second part, I talked about shooting the lava with a DSLR from the ground. In the third, I talked about shooting from a dedicated lava-viewing boat. 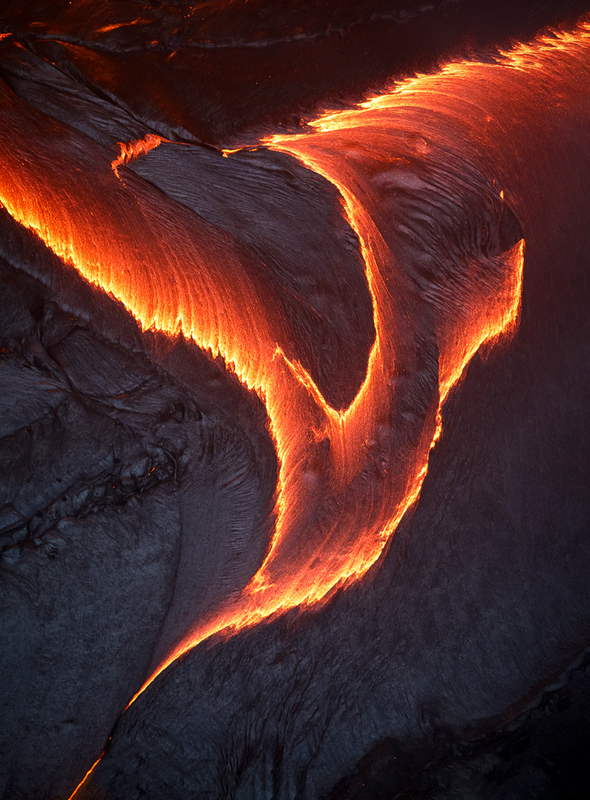 I'd like to finish this series with a short article about shooting the lava from a helicopter. 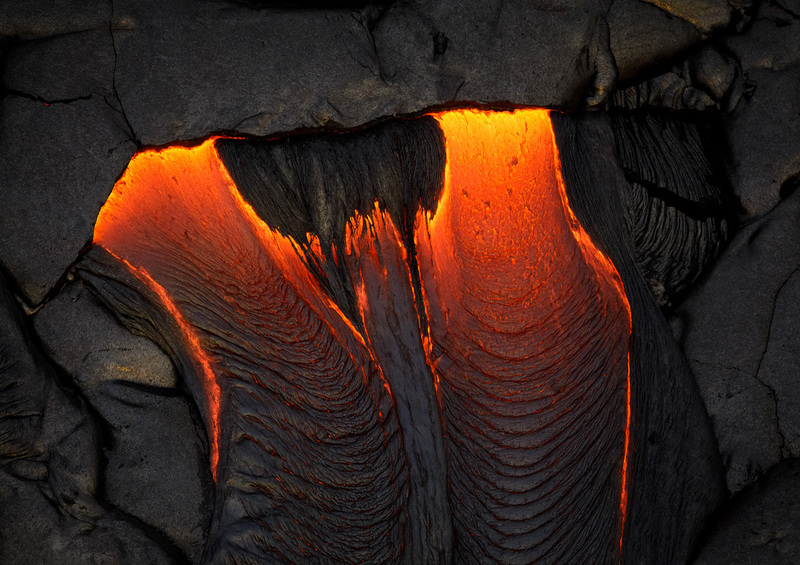 I will also try to sum up the lava shooting part of my Hawaii trip, and survey how it ended up being published. I was very excited for my lava helicopter flight. After my amazing hike to the surface flows, where I also used (and melted) my drone, and after the sail a few days before, I had already gotten many epic shots and had much less pressure to produce something exceptional. 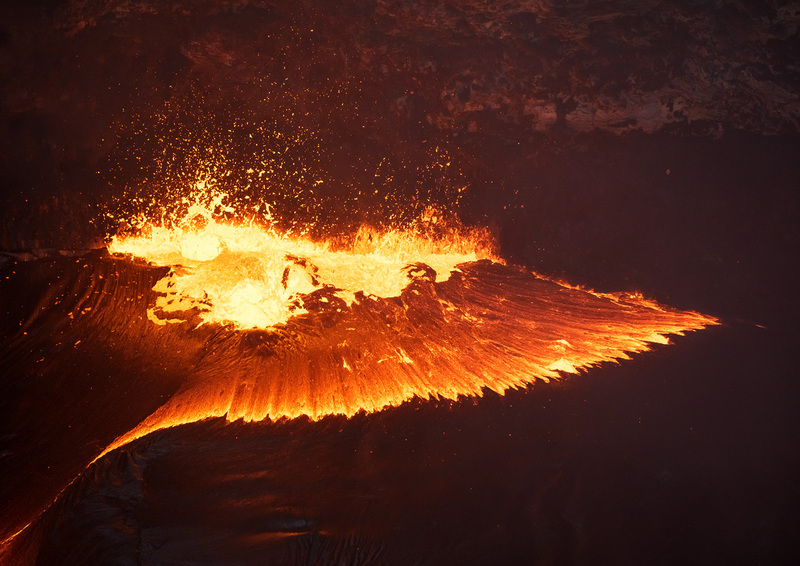 My friend and I decided to only take a (relatively) short 1-hour flight, to experience another way of shooting the lava. There are several helicopter providers available in Big Island, and they can easily be found online. Remember to schedule your flight several days (a week is recommended) in advance to make sure you get the time slot you want. We chose a sunrise shoot. Upon reaching the hangar, the helicopter was already stripped of its doors (nothing will come between me and the lava!) and our pilot was making his preparations. We took off quickly and were on our way to the Puʻu ʻŌʻō Crater. If you intend to take an open-door helicopter flight in Hawaii, remember to dress well. Hawaii is generally not as hot as one would think (it even snowed on the Big Island recently! ), and it can get very cold up in the air on the way to the lava. I'd suggest a serious warm jacket and thick pants to be comfortable. I was a bit under-dressed, so it was a bit chilly on the way there. Upon reaching the crater itself, I started shooting with a medium telephoto (24-70mm). This would prove the last time I used this lens in the shoot, as I quickly switched to my 70-300mm to get better details. The crater was nice but I quickly got bored of it. I knew the real deal was the surface flows with all their beautiful diversity. I was adamant on getting some nice abstracts and natural patterns, so I asked the pilot to leave the crater and find the flows. Once you start shooting the surface flows, it's endless. There is so much to choose from and you need to manage the time wisely, since the really good light is extremely short-lived. Try to get the shot and already think on what you want to get next. It's not my ideal method of producing good shots, but in these conditions, time is a serious bottleneck and there's just no choice. Technically, just like the boat shooting, remember that you're on a moving, vibrating, flying vehicle: exposure speed should be on the high side. I was aiming for between 1/500 and 1/1000 of a second (with the 70-300mm) and managed to expose in that range most of the time. ISO settings depend on light, but since this was early morning, I had to use ISO 3200 or 6400 most of the time, unless I was shooting into the crater (where lava was brighter) or when the sun went up a bit. In these cases I went down to ISO 1600. Contrary to my usual shooting style, I tried to put a large emphasis on abstracts. 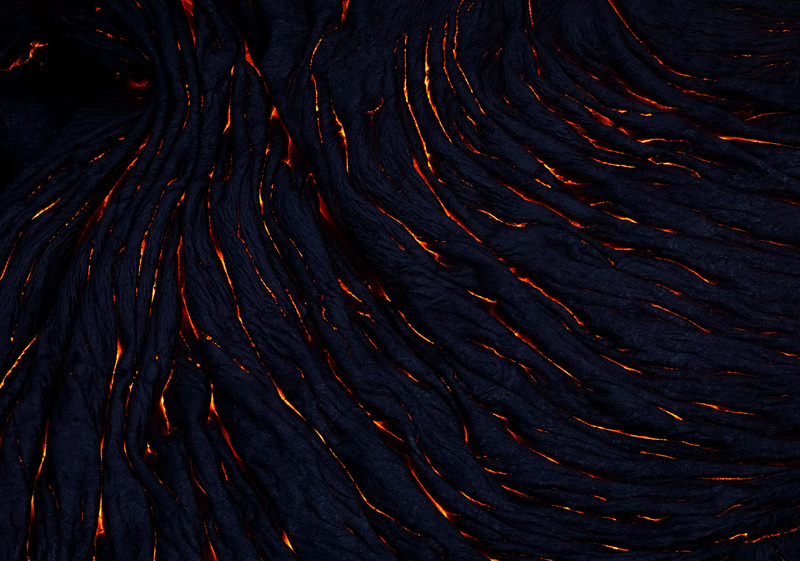 The lava creates such wonderful patterns and colors, it made sense to concentrate on those alone. 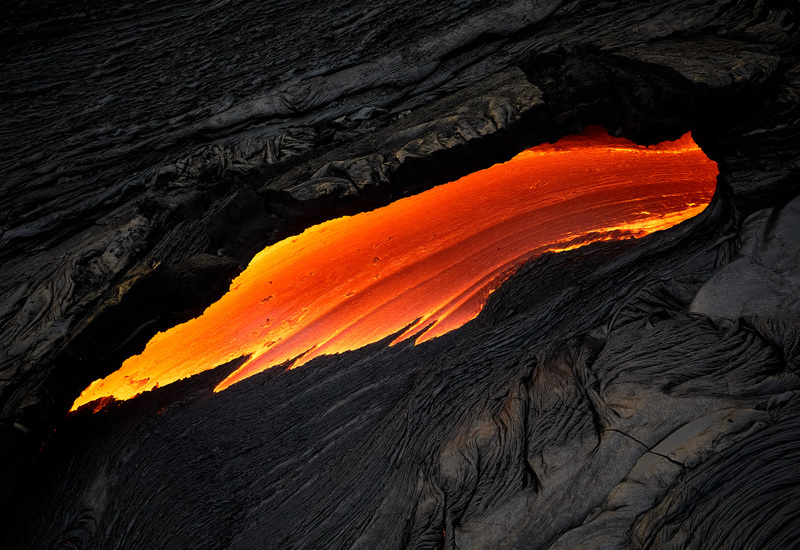 Another cool thing about shooting from the air is the visibility of skylights - underground lava flows that have been partly exposed and are visible from the air. To sum up, the helicopter shoot was a lot of fun. 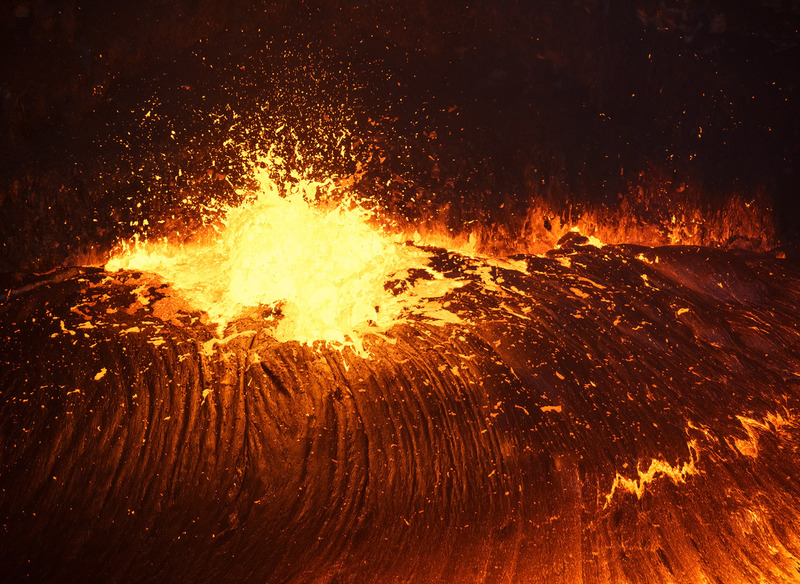 It's all so easy: you don't have to hike 8km, there are lots of opportunities, and you have total control and an infinite choice of subject matter (if the lava cooperates, of course). We paid about $1,700 plus a well-deserved tip to the excellent pilot, whose hovering abilities were off the charts. Not a particularly cheap experience, but worth it to me. Remember, Hawaii is extremely far for me to reach and I wanted to make sure I made every effort to go back home with a good portfolio. 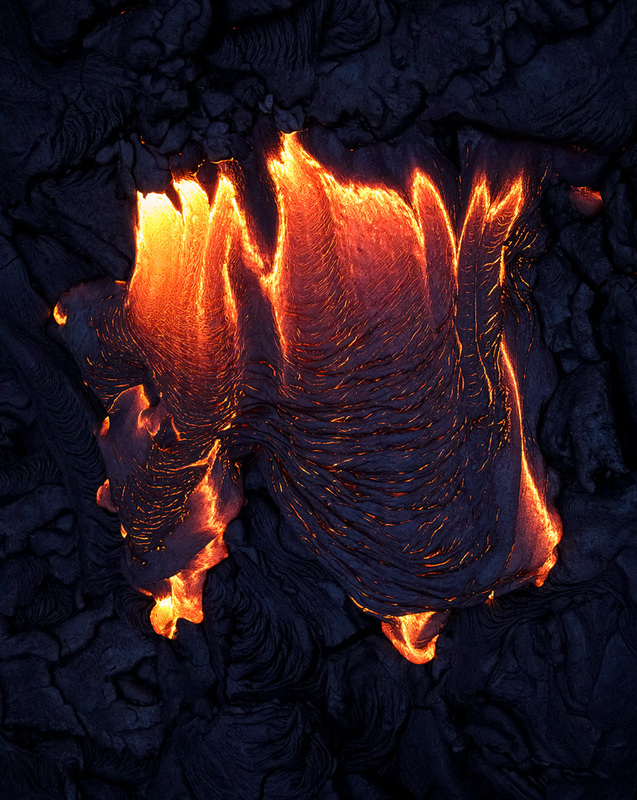 If you enjoy aerial photography and lava, I can highly recommend the heli flight in Big Island. I was incredibly lucky in Hawaii. The surface flows outside the National Park, where I was allowed me to use the drone; the crazy eruptions before my eyes; the action and sunrise in the boat sail; every experience was fantastic. While the Big Island was just part of the trip and I took many more images in Kauai, the lava, and particularly the very first day of my trip, was definitely the main event, and for that I'm thankful. The trip was very expensive. I knew it would be so in advance, but in the end I spent even more than I thought I would. That's OK, but bare in mind that a visit isn't going to come cheap, especially if you want to do all the lava shooting from a boat and a heli. That said, it was more than worth it—it was one of the best trips I've ever taken, a truly exhilarating experience that I will cherish forever. 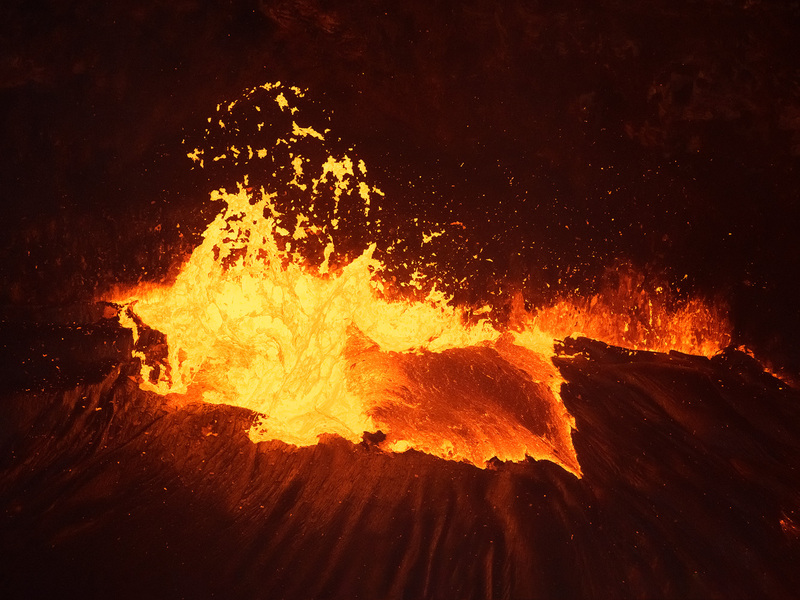 The lava shots, and perhaps mainly the fact that I'd melted my drone, meant big publicity in all of the main photographic websites, which was very nice. In addition to lots of licensing deals, my images were on the front page of NatGeo.com (which more than paid for the drone repair) and also the Nat Geo international websites of about 10 countries. Stories about my shoot have been published in over 20 countries and surveyed in countless websites. I've been interviewed by Nat Geo and by several international photography and travel sites, as well as by Israeli news sites. The point is, I had no idea what would come of the Hawaii trip before taking it. It could just as well be bad, with no visible surface flows or (as it is now) no lava in the Ocean Entry. It was a stroke of luck, and happily I was ready to take advantage. I'd like to encourage you to take the risks and, hopefully, you'll get similar rewards.